For an email campaign to be successful, marketers must blend art and science to reach the right person at the right time, with the right offer. Much planning, analysis, and creative work go into treating a campaign that can motivate people to take that next step on the buyer's journey. But no matter how compelling your email is, if it doesn't reach the inbox - you've lost that opportunity. 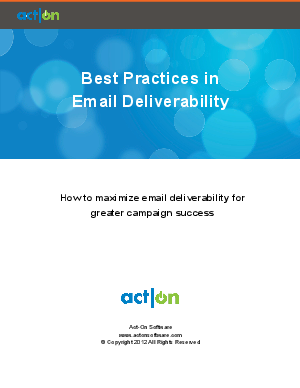 If you know the basics of deliverability, you're better prepared to build emails that will actually reach your potential customers.